The Blessed Fruit began at the request of Our Lord in a hospital room in Oklahoma City in late November 2016. God breathed the word "SHARE" and so here we are! Hello hello! I'm Stephanie. I love Oklahoma State University and hanging out with my husband. I keep Holy Mary busy praying for patience with my little boys. I love God, Catholicism and evangelizing with all my heart! 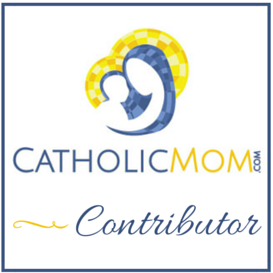 I'm so grateful God's allowed me to write here and over on CatholicMom.com. I hope your stop at The Blessed Fruit brings a little bit of peace and maybe even a good God Moment! Yay God! Email me here, I'd love to hear from you.